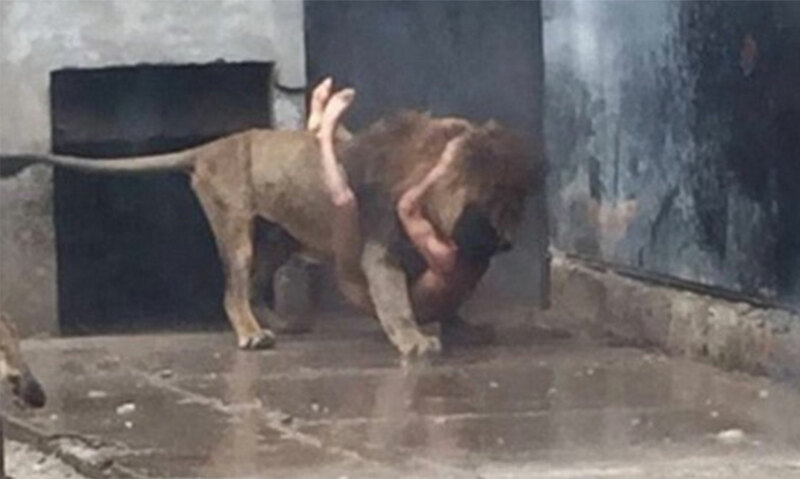 Early on Saturday, May 21, 2016, at the Santiago Metropolitan Zoo in Chile, a man took off his clothes and jumped in the lion enclosure. It was a suicide attempt, apparently. A suicide note was reportedly found in the man's clothing. 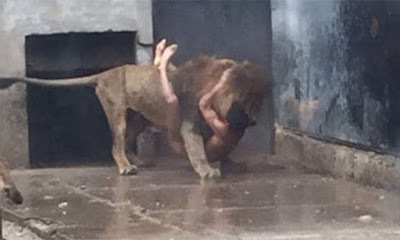 Chilean television, and United Kingdom media, published graphic photos and videos of the mauling. 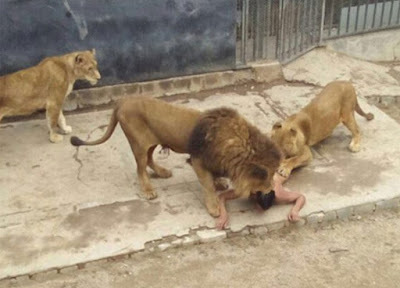 The man, 20, was saved, but two lions were killed as they attacked the individual. "The zoo has an established protocol because people's lives are very important to us," said Director of the City's Metropolitan Zoo Alejandra Montalba. The zoo director said she was "deeply affected" by the deaths of the two lions, a male and a female. "Everyone started screaming when they saw him," a man told news channel Chilevision. Another said: "There were a lot of children there, and parents covered their eyes while it was going on. "He was screaming religious things." Sources: here, here.